An even cheaper version of the Raspberry Pi mini computer is now available. Costing just £15.95, the Model A is lower specced than the standard Model B, with 256MB of RAM, no Ethernet connection, and only one USB port. But it uses just 30 per cent as much energy as the Model B, making it ideal if you're powering it using solar energy. According to the maker, the Model A is expected to be in demand from those making industrial control modules, like roboticists, those involved in automation, or just anyone looking for a cheap media centre. 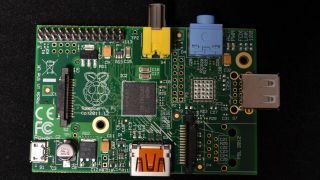 The Raspberry Pi launched a year ago, with the intention of filling the gap left by the demise of computer programming courses. It has sold more than 500,000 units around the world. At the end of last year, the Model B received a spec boost to 512MB of RAM, while the price of £29.95 stayed the same. Both models work as fully-fledged desktop PCs, able to run movies and games to a monitor. They're capable of a lot more too, including filesharing, SSH, and more. Find out how in our guide. You can pick up a Raspberry Pi from CPC now.